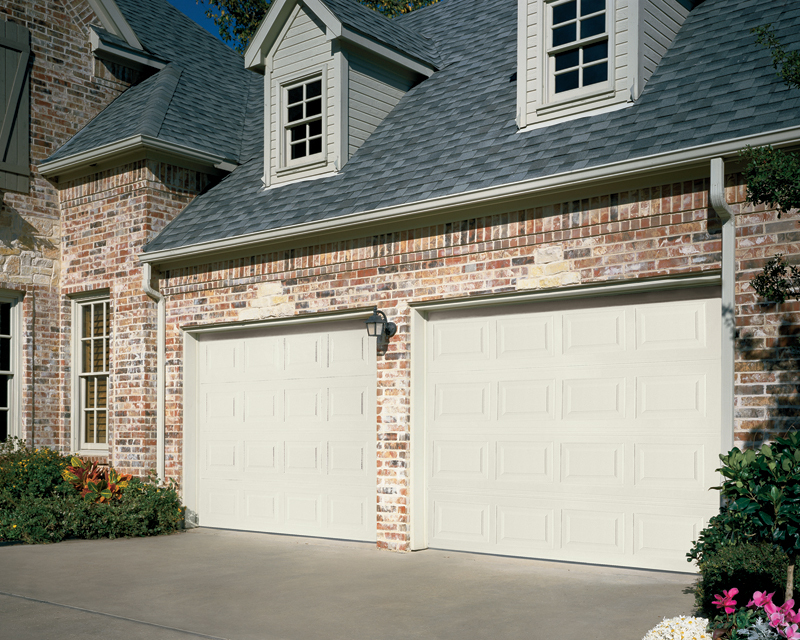 Panels: Feature simulated wood-grain embossment to enhance the appearance of your garage door. Choose from standard or long panel designs. Colors: Doors are available in five standard colors or can be painted to match your home’s decor. Contact your local Ribbon distributor for painting instructions. Glass: A variety of glass options, including tempered glass, clear Lexan®, solar bronze, insulated glass (some series), as well as obscure glass and Bevelite® decorate acrylic lites. Windload: Can be fitted to meet windload building requirements.